"I went on a P&O Melbourne Cup cruise with mum. Here's what I learnt." 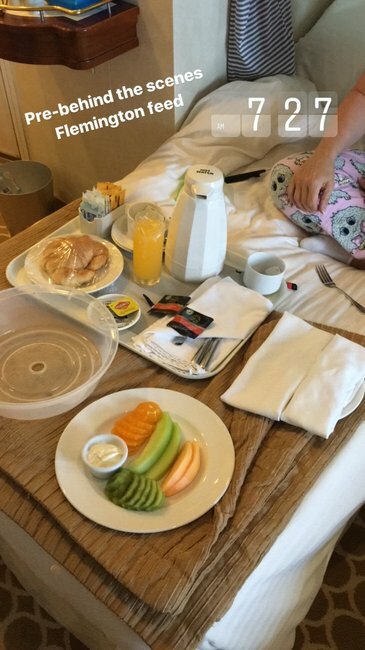 "A recap of the time I spent six nights in a twin room on a cruise ship with my mum." 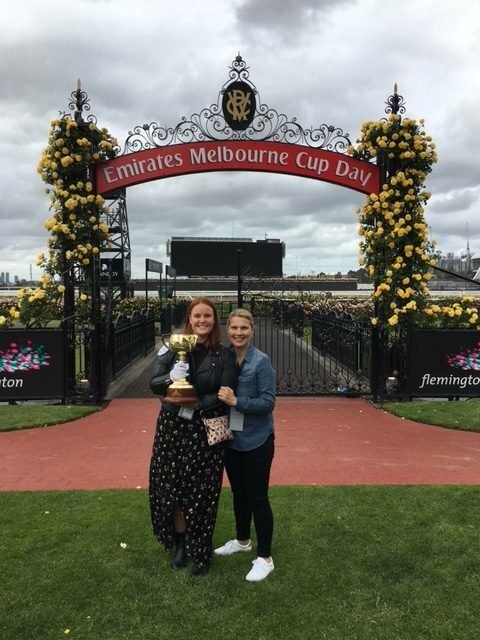 When I found out I would be getting a week off work to go to the Melbourne Cup with P&O Cruises last November, I saw a teeny tiny opening to win Best Daughter of the Year by inviting my mum to come along. And by God, I took it. But mum wasn’t my first plus one choice. She knew it, I knew it, it was fine. I think it was fine. Sorry, I know that comes across as quite brutal, but who else other than your mum would take a week’s annual leave just before Christmas for you? No one, that’s who. 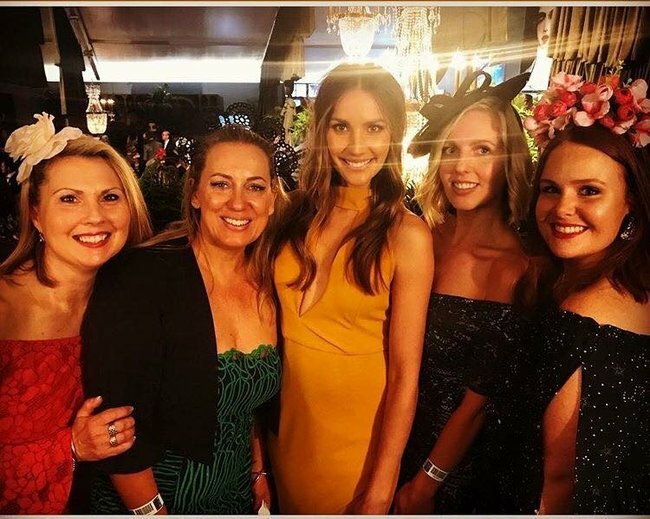 “Guess what, I’m going on a cruise to the Melbourne Cup and I want you to come with me!” I told her over the phone once I realised none of the three friends I’d asked first could make it. “Oh” was her response. Oh. After I explained again that she and I would be taking an actual cruise to the Melbourne Cup, she perked right up, and our conversations over the following month consisted of questions about what dresses we would wear, if we could pull off fascinators, and if I’d need to pack a jacket for Cup Day (typical mum, her answer was, of course, yes). Soon enough the departure day arrived. Prior to going on the Pacific Explorer, mum and I had never travelled together just the two of us. I was nervous – how would we go stuck in a twin room with only each other’s company for a week? Would we get sick of each other? Would we fight? Would there be… awkward silences? 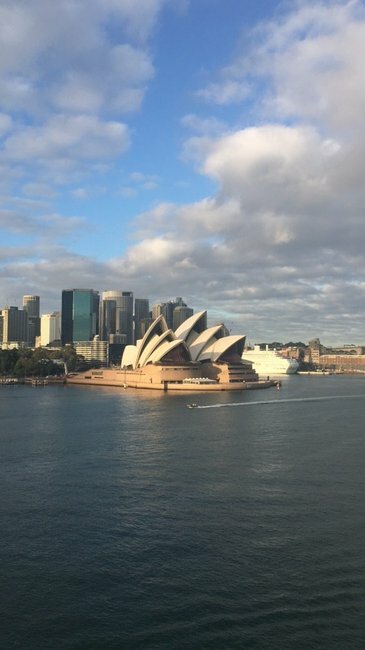 But I needn’t have worried, because when our six-night adventure with P&O started with the Uber driver asking us, two people not from Sydney, where to go to get to the ship, we knew our trip was going to be… eventful. Finding our way around the ship. 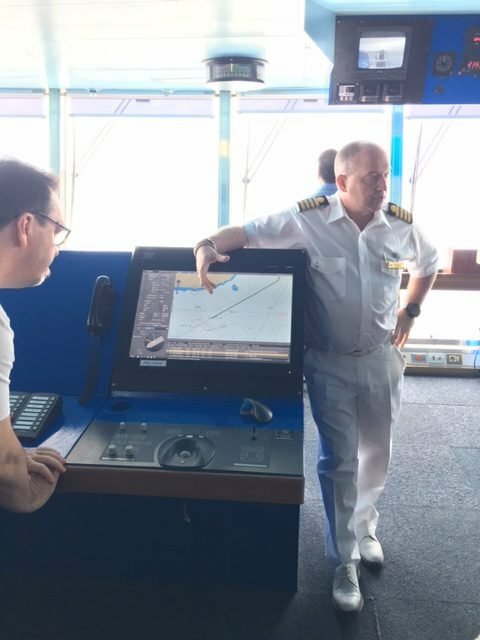 After we made it on board with literally seconds to spare – for anyone going on a cruise in the near future, do not be late, the ship will legitimately sail away without you – our first task was to find our way to our cabin. What followed was a five minute walk down a simple corridor, that did not feel at all simple, and like it went for hours. Because the ship’s corridor was so long (260 metres long to be precise), it really felt like we were in an Inception-style vortex that would never end. It would’ve been comical if not for the whole thing where we rocked up to the ship’s customs desk right before they were about to close, hence missing our tour of the ship. Finally we made it to our cabin – a twin room on the ship’s 14th floor, complete with a balcony and an uninterrupted ocean view. It was small but big enough for the two of us, and we also quickly learnt it was the least interesting thing on the whole ship. Staircases with gold banisters wound their way down 11 decks, leading to theatres, lounges, cafes, restaurants, bars, spas and shops – I felt like Rose on the Titanic, except for the repressed by a controlling partner and clinging to life in the ocean parts. And yes, I heard Titanic referenced approximately 53 times while on board the Pacific Explorer. It was never funny. We can speak freely here, right? OK good, because before I went on one, I honestly thought cruises were just for oldies. Mum and I routinely overtook large groups of people with walkers and in wheelchairs having the time of their lives doing trivia and playing bingo (disclaimer – there were young people doing trivia and bingo too! ), but what surprised me most about the P&O cruise was just how many different types of people were on board. There were couples of all ages looking ridiculously smitten and in love. And the hens and bucks groups, travelling in matching white sashes and Hawaiian shirt packs. Normally with cocktails and beers in hand before midday (no judgement). We also saw parents with children reading on the upper deck while the kids ran a muck in the pool. 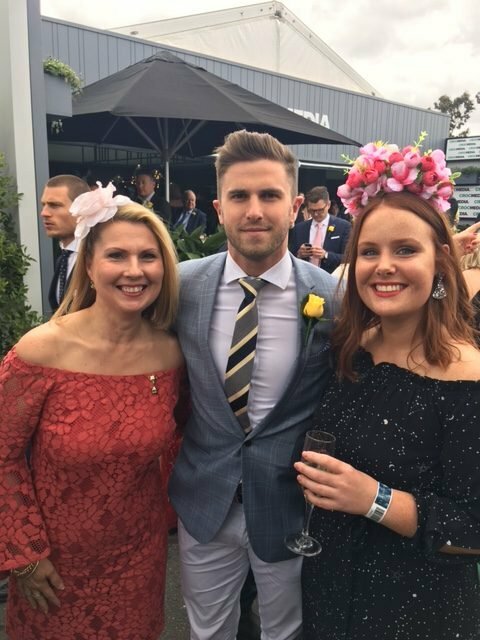 And there were mums and daughters like us – we even saw a family of three generations (grandma, mum and daughter) all dressed up on Cup Day. 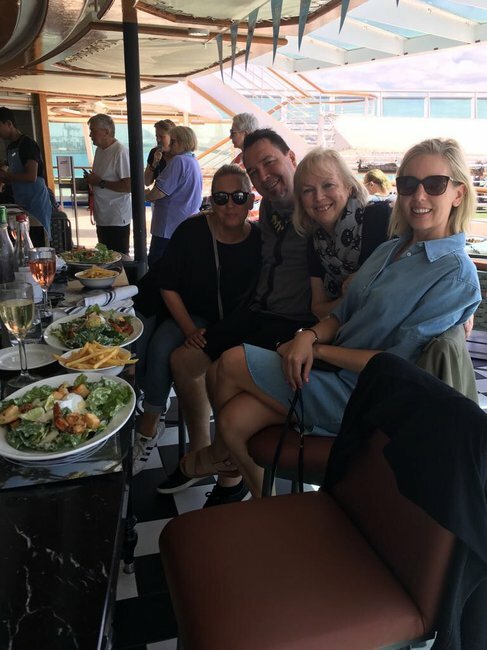 And even though everyone on board was there for a different reason – romantic getaway, family friendly holiday or a new and fun way to experience the Melbourne Cup – there was something for all of us. With 11 guest decks, over 12 dining experiences, pubs and bars, live entertainment venues and outdoor spaces, there was so much room for activities on board. 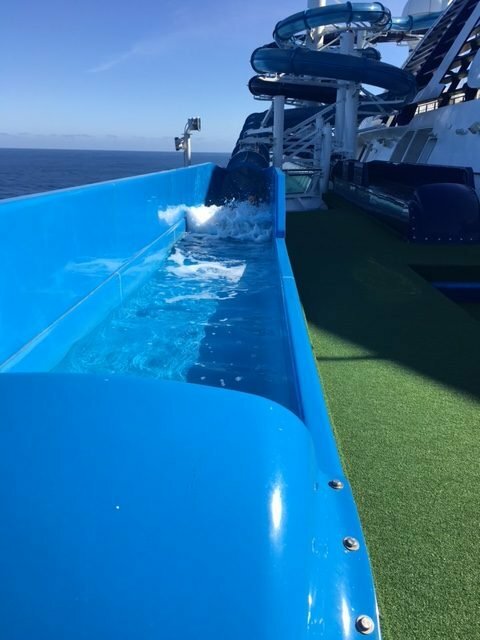 Like sliding down one, or both of the ship’s water slides. Or playing lawn balls, rock climbing or running around in the water park. One of the best things I did on the whole trip was having a crack at the adventure activities. 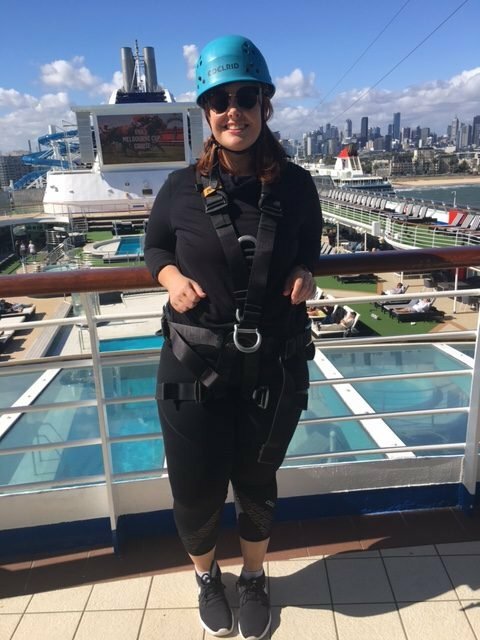 It wasn’t mum’s thing, but I zip-lined the entire length of the almost 300 metre ship, and walked the plank off the edge. Mum fancied the acupuncture at the on-board Elemis Day Spa to help with the sea sicknesses. 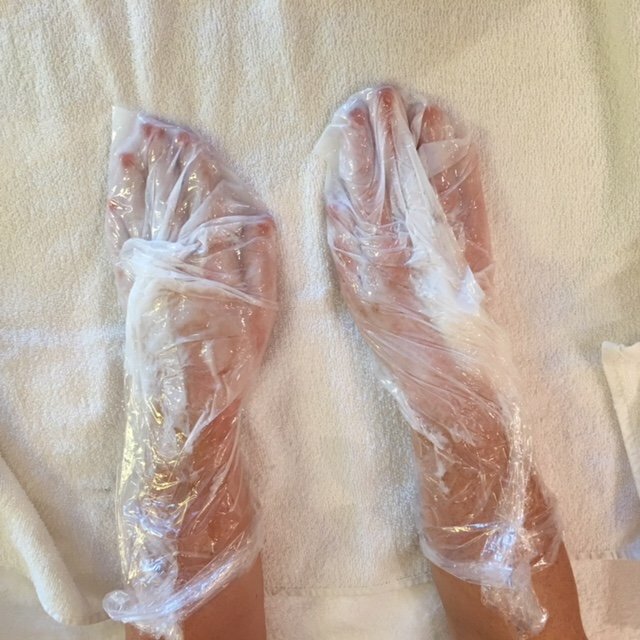 I stuck to the Swedish massages and manicures – apparently my hands are ridiculously dry, or so the lovely technician told me before lathering my mits in some sort of oil that smelt really nice. 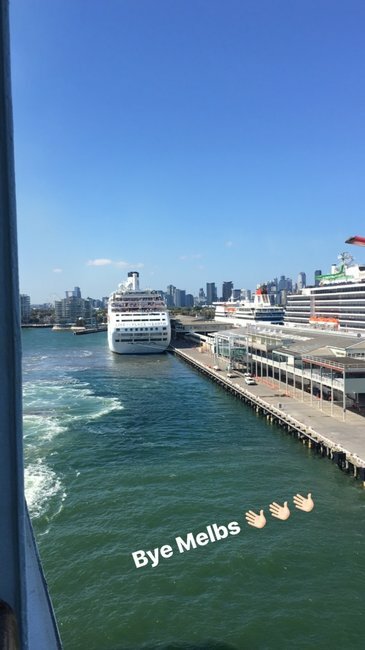 P&O Cruises&apos; Melbourne Cup.Waving goodbye to Melbourne on board the Pacific Explorer. Image: Supplied. P&O Cruises&apos; Melbourne Cup.Trying to be an Instagram star on the balcony of our cabin. Image: Supplied. P&O Cruises&apos; Melbourne Cup.Meet the captain! Image: Supplied. 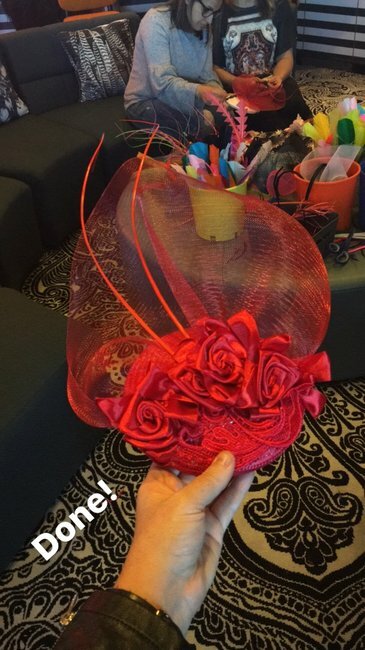 P&O Cruises&apos; Melbourne Cup.Guys, I legit made this fascinator... with some help from milliner, Kim Fletcher. Image: Supplied. P&O Cruises&apos; Melbourne Cup.Checkin&apos; out the latest spring racing fashions with Nicky Buckley. Image: Supplied. P&O Cruises&apos; Melbourne Cup.Dining at one of the Pacific Explorer&apos;s many restaurants. Image: Supplied. P&O Cruises&apos; Melbourne Cup.Our room stewards were so creative. Image: Supplied. P&O Cruises&apos; Melbourne Cup.I did a thing and tried to revive my dry wrinkly hands at the Pacific Explorer&apos;s day spa. Image: Supplied. P&O Cruises&apos; Melbourne Cup.Showing off my new nails, being a social media influencer. Image: Supplied. P&O Cruises&apos; Melbourne Cup.Your mate. Image: Supplied. P&O Cruises&apos; Melbourne Cup.OK yeah she&apos;s with me. Image: Supplied. P&O Cruises&apos; Melbourne Cup.Holding the Melbourne Cup at Flemington Racecourse. Image: Supplied. P&O Cruises&apos; Melbourne Cup.Our in-room pre-Melbourne Cup feed. Thanks P&O! Image: Supplied. 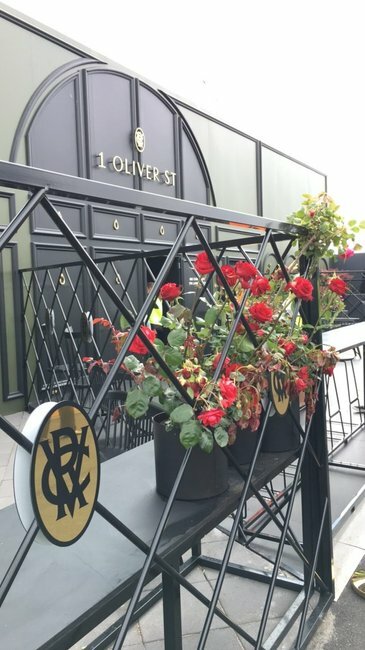 P&O Cruises&apos; Melbourne Cup.Our home for race day, 1 Oliver St in The Birdcage. Image: Supplied. 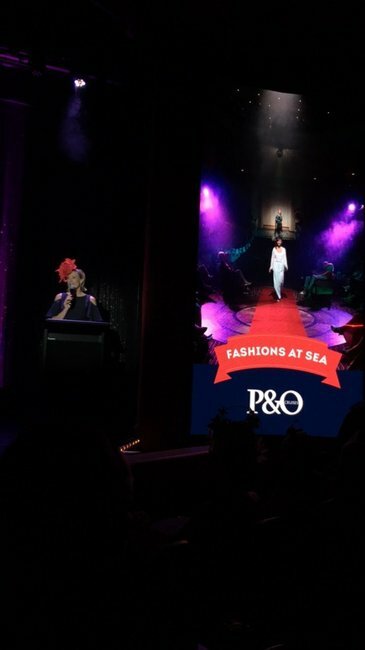 P&O Cruises&apos; Melbourne Cup.Yep, that&apos;s us with Rachel Finch in 1 Oliver St feat. filter. Image: Supplied. P&O Cruises&apos; Melbourne Cup.Just Sonia and I hassling sport stars for pics in The Birdcage. Image: Supplied. P&O Cruises&apos; Melbourne Cup.Having a spot of lunch on the upper deck with our media group. Image: Supplied. 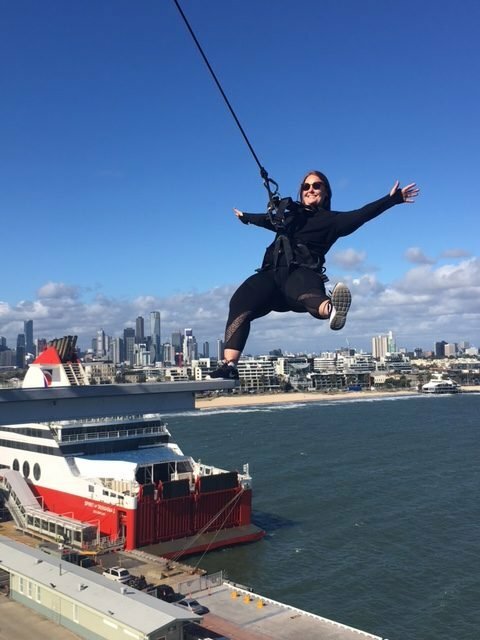 P&O Cruises&apos; Melbourne Cup.There&apos;s also adventure activities, you guys! Image: Supplied. P&O Cruises&apos; Melbourne Cup.Hey, just me standing off the side of the Pacific Explorer on one foot. Image: Supplied. P&O Cruises&apos; Melbourne Cup.WATER SLIDE!!! Image: Supplied. P&O Cruises&apos; Melbourne Cup.Cruising back into Sydney on the way home. Image: Supplied. We also saw live jazz music in The Blue Room, drank too much gin (including a smoking gin that comes in its own galosh) in the Archie Rose inspired Bonded Store, and saw the incredible Love Riot cabaret show in the Black Circus. Warning, you will see ~body parts~ during Love Riot, and you will also enjoy it immensely. Oh, and there was a gym too if one felt like working off the food and booze from the night before. Personally, I never set foot in there but I did see lots of fit, happy looking people coming in and out. That’s what made the whole experience so memorable as a mother-daughter holiday. We could go off and do our own things before catching back up together, which probably helped a bit with the whole not biting each others’ heads off thing too. And the food. THE FOOD. Oh God we ate so much. Not sure how the ship managed to stay a float to be honest. In the buffet style restaurant, The Pantry, we tucked into pretty much every type of cuisine you could image. Mexican, Italian, Thai, Indian, fish and chips, rolls, – usually all on the small plate or over a series of self-dictated courses. 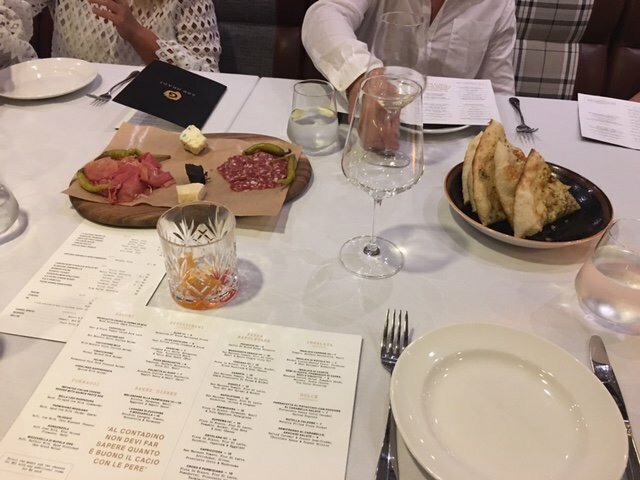 But the ship also had a heap of other dining options, including the Waterfront, Luke’s (Aussie chef Luke Mangan, that is) and award-winning pizza chef, Johnny Di Francesco’s 400 Gradi. I can’t speak for mum, but I certainly felt rounder when I left than I did on arrival. Not complaining at all though. The BIG day was… big. P&O arranged shuttles to and from Flemington, and then let us lose in The Birdcage. The best way to describe it is that it felt like I was in my Instagram feed. 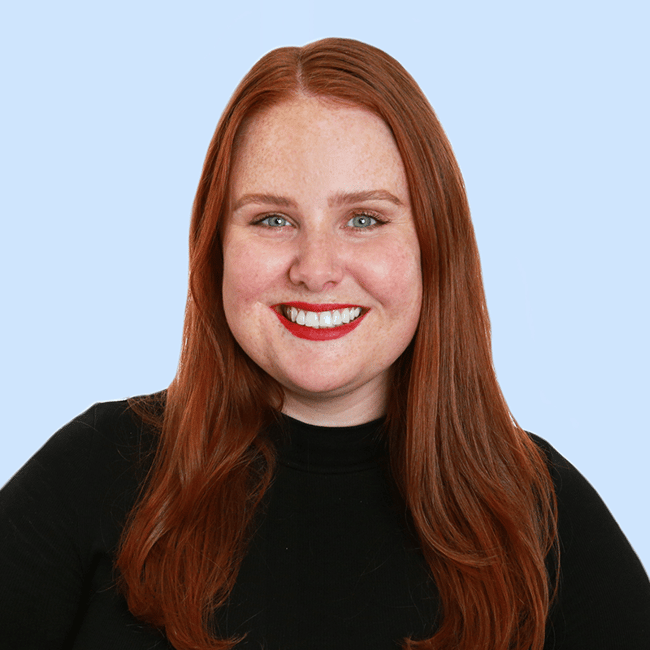 We met Rachel Finch, Georgia Love and Lee, and observed AFL players and social media influencers from a safe distance. We also drank a lot of Mumm, and felt very fancy doing so. After put a $20 on this thing I only learnt about that morning called a ‘box trifecta’, I promptly lost that $20. Once the Melbourne Cup race was over, we danced, and danced, and danced. We then danced some more. So much so, we missed the last P&O shuttle, and paid a ridiculous amount of money to hitch a ride back to the wharf. Oh, and I re-boarded the ship without shoes. So yeah, we really enjoyed the dancing. 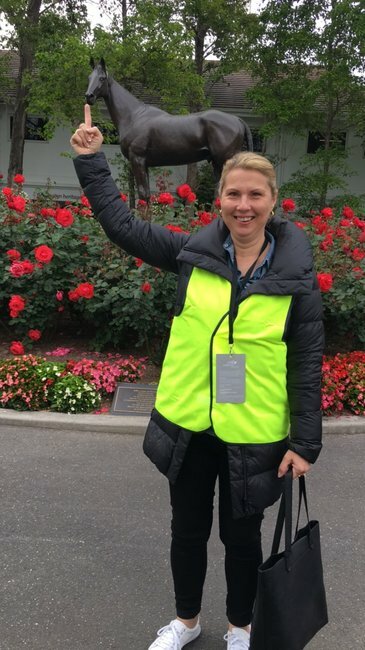 The day after the Melbourne Cup. Look, there’s really not much to say here that isn’t already obvious. It was a rough day on the ole stomach, that’s for sure. Not naming names, but one of us almost vomited and had to make a dash for our cabin’s, erm, facilities after seeing the incredible seafood spread. They said it was ‘motion sickness’. No one was convinced. Although we went for the Melbourne Cup, and the Birdcage tickets, we went home with something far more valuable. Quality time. Yes, the Pacific Explorer had everything we need to have a bloody great time – bars, restaurants, pools, spas, stunning views and SO MANY ACTIVITIES – but it was the little moments on board that made our time truly memorable. 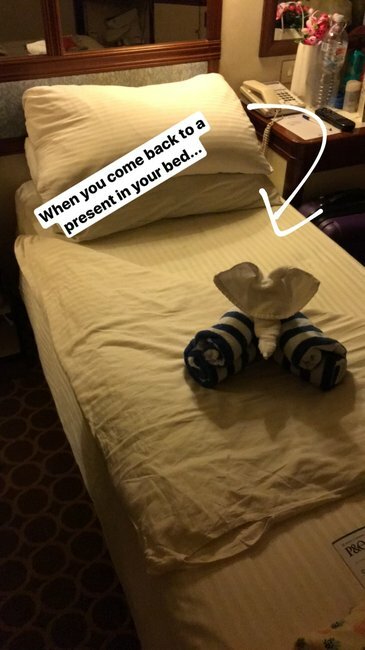 Like stumbling into our cabin after a boozy dinner to find an elephant made out of towels sitting on our beds. And getting lost in the ship’s many corridors, or videoing mum leading a chorus of Islands in the Stream in the back of our taxi post-Melbourne Cup. Also, I think I already knew this, but after spending six night together in a twin cabin together, I now am certain mums are not in fact humans. They are saints. Because we now live in separate states, spending those six nights together gave mum and I a priceless opportunity to reconnect, and it reminded me how lucky I am to have her in my life, as the mum-figure that is on call to answer questions about how to use a rice cooker AND as a friend. 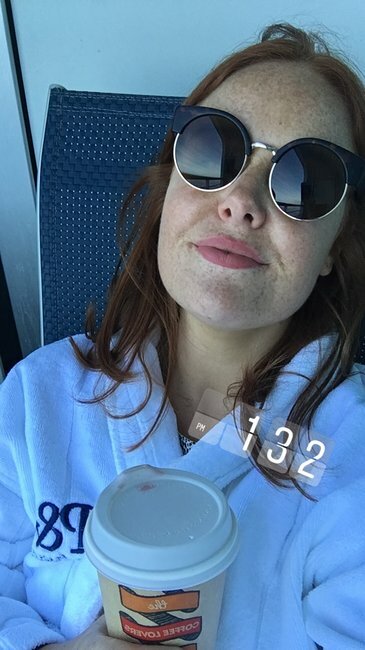 The whole experience was so much fun, and even though mum wasn’t my first choice (again, sorry mum), there isn’t anyone else I would rather spend six nights in a twin cabin on a ship in the middle of the ocean with. You can find out all about P&O Cruises’ Melbourne Cup packages for 2018, as well as the Pacific Explorer and their many other cruises on the P&O website.